A Few Reasons To Choose Wight Hosting. We, at Wight Hosting, provide high-end hosting services at moderate prices and we offer you plenty of charge-free tools, which will help you create your site in no time. We offer you more than 300 free-of-charge web site skins and a 99.9% network uptime guarantee. At Wight Hosting, we are specialised in the provision of premium, user-centred shared hosting services. Our aim is to make the hosting service as easy to use as possible. Our portfolio encompasses a large range of hosting plans, which offer abundant hard drive space and data traffic allocations, domain registration/transfer options, innovative Domain and Email Managers, multi-website hosting options, as well as free-of-cost bonus tools, such as a 1-click apps installer and a web site builder. All hosting accounts can be easily administered through our multi-language Control Panel. A 24×7 client support service is offered as well. One thing that differentiates us from other hosting distributors is the fact that we employ a different hosting platform and web hosting Control Panel. The main difference between our Hepsia Control Panel and the widely used cPanel is that our hosting Control Panel offers billing, domain and website administration options, which saves you the effort of remembering different login credentials for different Control Panels. The Web Apps Installer tool gives you the ability to quickly install more than 40 popular web applications, among them Joomla, WordPress, Drupal and many others, with simply one click. You don’t have to download anything or create a database – our tool will do all the work for you. Our unique hosting Control Panel enables you to manage your site(s) and domain name(s) from a single place. It’s quick, responsive and easy to use. Making use of the drag-and-drop file upload functionality and the handy right-click context menus, you can easily manage everything associated with your site. Save tons of money on web design services by using any of the 300+ templates that we provide with every hosting account. The themes we provide are available for free and can be installed on your website with just a few clicks. Our client care service includes a 1-hour response time guarantee – regardless of what the issue is, our helpdesk staff representatives will get back to you in under an hour. And they are available 24x7x365. If you get lost inside our Control Panel, the first step you should take is to push the Help button, which is visible on each page. A pop-up menu will appear. It offers thorough info about all the actions that you can carry out on that particular page. Each popup shows up on the very same page so that you can quickly return to your work. We have a huge variety of video tutorials illustrating how to use our Control Panel. They’re meant for those of you who want to see how things are getting done rather than just reading articles. In this way, everyone can swiftly become familiar with our hosting Control Panel by simply watching our step-by-step instructional video clips. If you can’t discover the answer you need, examine our extensive FAQ database, which comprises questions asked by actual persons and offers real solutions. We frequently “revamp” our FAQ section with new questions & answers in order to encompass all the new additions and innovations associated with our platform. If you still can’t discover the solution you searching for in the FAQ section either, you can touch base with our excellent team of customer support engineers available 24-7 and ready to help you with any question. Each support ticket you submit will be responded to in less than one hour (the average ticket response time is approximately 20 minutes), so you will not have to wait a long time to get your question answered. We offer top-quality website hosting services and a 24/7/365 client support service. With us, you will enjoy the fastest website loading speed feasible. In case that you are not satisfied with the delivered speeds and with the service quality, then you can take advantage of our unquestionable thirty-day money-back guarantee. So, signing up with us is entirely risk-free. Most modern websites are programmed in a mixture of html (hyper text mark up language), PHP (PHP Hypertext Preprocessor) and driven by a database. This all sounds very complicated and indeed it is if you were to start from scratch and build a site. Nowadays, however there are web apps that can be installed that take care of all the programming leaving you to concentrate on adding content through WYSIWYG (pronounced “wiz-ee-wig” anacronym for “what you see is what you get”) editors that are the same as wordprocessors. Wight Hosting offers around 50 of these apps that can be installed automatically when you sign up, whether you want a simple blog site or a full blown e-commerce store there is an app to do it. Around 90% of the web is powered by an app called WordPress, It’s what’s known as a content management system (CMS), and is the platform used for this website. 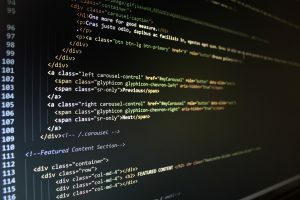 A very versatile app that through the addition of the thousands of extensions known as plugins, it can be made into virtually any type of website you could wish to build without needing to know any coding. Wight Hosting web hosting packages are optimised to get the best out of web apps like WordPress. Web hosting is the generic term used to describe the activity or business of providing storage space and access to websites. For the majority of people, the cost both financially and in time to run a server to self host a website is prohibitive and is why services such as Wight Hosting exist. 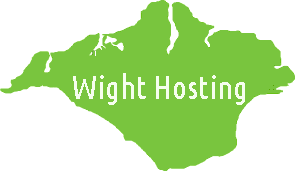 Wight Hosting offers packages to suit all. From simple blogs to high end corporate sized sites. Click the images to read more about each hosting package type. The word domain refers to the name and address of your website for example: www.wighthosting.com is the domain name and address of this hosting company. 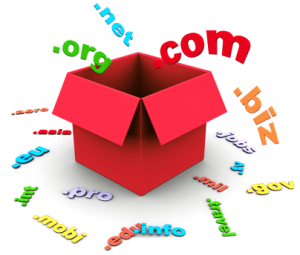 TLD stands for Top Level Domain and are the letters that follow the dot like .com or .net .org .info. They are also sometimes referred to as gTLD’s ‘Generic Top Level Domains’. Some TLDs are reserved for specific reasons .gov.uk is reserved for the UK government, .aero is for the air transport industry. As mentioned ccTLDs are country specific, some you can register whether you are a resident of that particular country or not and others you must have a residency. .com .net .org .info are the most popular TLDs, these are all open to anyone or entity to register. 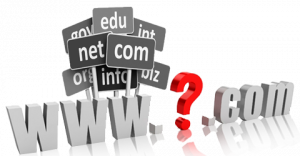 At Wight Hosting, we offer a variety of domain extensions (.com, .net, .org, .info, .biz, .us, etc.) at a promotional price with our business-grade shared hosting. A selection of other gTLD and ccTLD extensions are offered at a standard price both on the signup page and inside the web hosting Control Panel. Whois details, to specify custom DNS entries, to request SSL’s and more. Wight Hosting’s partner company is an ICANN sanctioned registrar. Undoubtedly, there are many other differences between Wight Hosting and the rest of the domain registration providers, but one of the most significant assets of Wight Hosting is the fact that you can administer your domain names and invoices, touch base with the customer care personnel, etc. using one easy-to-use web hosting Control Panel interface. File Transfer Protocol (FTP) is a client/server protocol used for transferring files to or exchanging files with a host computer. It may be authenticated with user names and passwords. Anonymous FTP allows users to access files, programs and other data from the Internet without the need for a user ID or password. Web sites are sometimes designed to allow users to use ‘anonymous’ or ‘guest’ as a user ID and an email address for a password. Publicly available flies are often found in a directory called pub and can be easily FTPed to a user’s computer. FTP is also the Internet standard for moving or transferring files from one computer to another using TCP/IP networks. This all sounds very complicated to the average user and so there are dedicated software programs such as the popular Filezila, that do all the technical stuff for you, all you do is enter the FTP account details of your hosting account and choose the files you want to upload. Bandwidth, also known as traffic is the measurement of how many people have accessed your site over a period of time. When you view a site your computer is exchanging information with the server that the site is on, if too many people access the same information all at the same time then the server will start to run slow or in the worst case scenario crash. For this reason monthly limits are put into place and if you go beyond this limit of your hosting package, your site will be inaccessible until either you buy more bandwidth or until the start of the following month. Most companies, including Wight Hosting, advertise ‘Unlimited Bandwidth’ packages. For this to be true the server that your site is on would have to have unlimited resources such as memory, hard drive space and processing power. Obviously no machine exists, else we would all have computers that never needed upgrading. So what is meant by unlimited bandwidth? The term “UNLIMITED” is used to describe the amount of resources in the web hosting plans provided by Wight Hosting, which is not set to a predefined limit value (for example – unlimited bandwidth, unlimited disk space, unlimited emails or other unlimited resources). By not setting limits on key resources, we are able to offer our customers a simple, consistent pricing scheme as their websites demand more and more resources. As a result, a typical website may experience periods of great popularity and a resulting increased storage need without experiencing any associated increase in hosting charges. Our Unlimited service offers are not designed to allow a single user to influence the overall server performance. Wight Hosting will make every effort to provide its customers with additional resources whenever possible, including the relocation of a customer’s hosting account to a newer, faster server. However, if the resource usage reaches a level where it may influence the overall server performance in a negative way, Wight Hosting reserves the right to take corrective actions. Such actions may include disconnection or discontinuance of any and of all offered services, removal or deletion of customers’ websites, website content, electronic mail, or termination of a customer’s account according to Wight Hosting’s sole and absolute discretion. cPanel is the most widely used hosting Control Panel out there. But that does not mean that it is the finest – it has lots of weaknesses and it has had them for so long that they are no longer considered imperfections by most people. But just because something was OK in the year 2000 doesn’t imply that the same thing will be OK now. With Hepsia, you can manage your site, domain name and billing easily, from one single place. With cPanel, you have two different Control Panels – one for your website and another one for your invoices and domain names. With the Hepsia website hosting CP, you can take advantage of drag-and-drop file upload directly in the File Manager. It also supports archive/unarchive functions and right-click contextual menus. After certain recent updates, cPanel‘s File Manager works and looks much better. Nevertheless, it offers neither drag-and-drop file upload functionality, nor archive/unarchive functions. 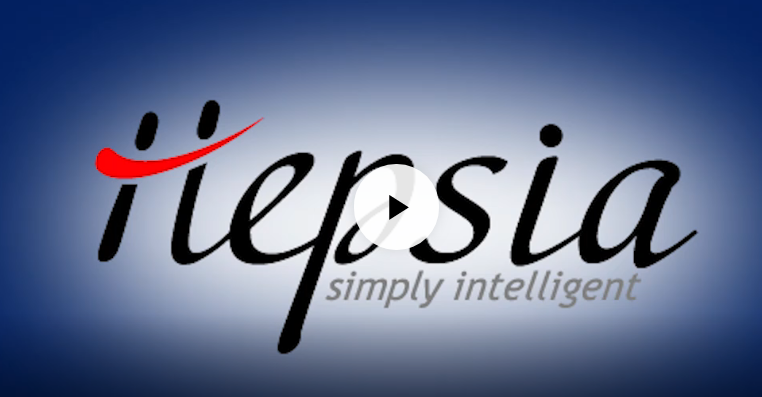 With Hepsia, you obtain a plethora of free extras. With cPanel, the cost-free extras you obtain depend on the hosting plans provider, which implies that you can also receive a stripped-down cPanel with nothing else. Tests have demonstrated that the Hepsia hosting CP is 3 to 5 times faster than cPanel. While with the The cPanel Control Panel you do your job, it’s designed on concepts from the year 2000 and can be slow at times. Managing ten different web sites with the Hepsia hosting CP is not harder than administering 1 or 2 web sites. Hosting more than 10 sites in one single cPanel web hosting account is really difficult. The cPanel CP shows all available icons on the home page. To move between sections, you invariably have to go back there. The Hepsia web hosting Control Panel offers a full-fledged demo account with only a couple of functions disabled. You can even create an entire website and see what it looks like prior to deciding whether or not to sign up. The cPanel web hosting CP features a stripped-down demo version, which will only offer you a crude idea of what the cPanel Control Panel can do. This list can carry on and on. But rather than merely reading about these hosting Control Panels, why don’t you give the Hepsia hosting CP a go with our Live Demo and discover for yourself how easy website hosting can be? The most fundamental and widely used variety of web hosting is the shared hosting service. It’s a means to host your web page without having to understand much about programming and administrating a hosting server. What’s more, it’s also the most inexpensive type of web hosting and it’s quite affordable for everyone. However, what is shared hosting? As the name implies, the shared hosting service is a sort of service where plenty of customers share the system resources of one and the same web server. This signifies that all web server elements such as CPU, hard disk drives, RAM, network cards etc. are distributed among the clients whose accounts are on that same server. This is normally rendered viable by opening separate accounts for the separate users and setting some limitations and quotas for each of them. Those restrictions are applied in order to restrain the clients from interfering with each other’s accounts and, of course, to prevent the web hosting server from overburdening. Normally, shared hosting customers do not have root-level access to the hosting server’s configuration files, which basically goes to say that they cannot access anything else on the web server aside from their own web hosting account. The web hosting resources that each account may utilize are set by the web hosting distributor that owns the web hosting server and by the respective website hosting package. Hosting firms that supply shared hosting solutions typically have various website hosting packages. Those plans include diverse quotas of web hosting features and specifications, which actually determine the limitations that a hosting package will have. The client may select between the individual web hosting plans and sign up for the one that he thinks will fit him best. The website hosting package will then define what limitations the customer’s account will involve, once created. The costs and the specs of the web hosting plans are determined by the specific hosting distributor. Depending on the politics of the firm, the shared hosting service falls into two categories – the free hosting solution and the common shared service, most recently very popular among “cPanel hosting” retailers as a cloud web hosting one. It’s impossible to declare, which one is more preferable, since they are quite different from one another and they actually are determined by the marketing strategy of the given firm and, of course, the requirements of the given client. What is the difference between the free and the popular shared hosting solution? Of course, the primary difference between the free of cost and the paid solution is in the amount of resources that they offer. Free website hosting companies are not able to maintain a huge number of web servers, hence, they plainly host more customers on one hosting server by reducing the quantity of system resources offered by the accounts. This will be effective only if the web hosting servers are kept under surveillance and administered appropriately, because the immense number of accounts may cause the hosting server to crash on a regular basis. The majority of the free hosting distributors, though, overlook the quality of the service and as a result, it’s very hard to come across a free of cost web hosting solution that’s in fact worth the time. The top free hosting providers usually offer free technical support even to the free hosting customers, since they want their sites to get bigger so that they subsequently migrate to a paid web hosting plan, which includes more website hosting features. One such firm, for example, is FreeHostia.com, which is among the biggest and oldest free hosting companies in the world. At the same time, traditional shared hosting distributors like us, are able to keep many web hosting servers and therefore, we may afford to offer much more powerful website hosting packages. Of course, that reflects on the cost of the website hosting packages. Paying a higher price for a website hosting service, though, does not necessarily imply that this service has a better quality. The most advantageous services are the balanced ones, which involve a fee that matches the real service which you’re getting. In addition, we also provide a free bonus with the web hosting package, like the 1-click applications installer, accompanied by 100’s of gratis website layouts. As a website hosting company, we do care about our reputation and that’s why if you go with us, you can be rest assured that you won’t get tricked into paying for a solution that you cannot in fact utilise. The shared hosting solution is best for persons who want to host a standard web site, which is going to utilize a small or medium amount of bandwidth each month. You cannot anticipate, however, that a shared hosting account will be sufficient for your needs, because as your business grows, your web portal will become more and more demanding. 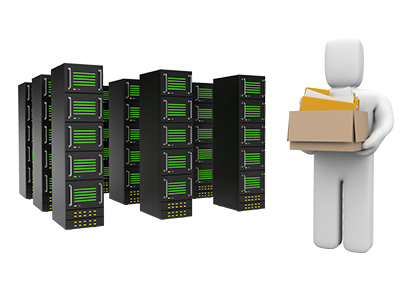 Therefore, you will have to ultimately move to a more powerful website hosting solution such as a semi-dedicated servers, a virtual private servers (also known as a private virtual server, or VPS), or even a dedicated server. Therefore, when selecting a website hosting provider, you should also think about scalability, or else you might end up migrating your domain manually to a separate vendor, which can bring about web site predicaments and even extended downtime for your website. If you choose Wight Hosting as your web hosting vendor, you can rest safe that we can supply you with the needed domain name and hosting services as you grow bigger, which will spare you from lots of annoyances in the future. Traditionally, guaranteed resources and root privileges are available with dedicated server packages, but Wight Hosting server virtualization technology permits them to provide very moderately priced virtual private servers that cost less than a dedicated hosting web server. Wight Hosting virtual private servers platform is exceptional. Each hardware node is a carrier-class hosting server offering 2 x Opteron 6128 eight-core CPUs, up to 128 gigabytes of DDR3 ECC reg. RAM memory and multiple high-speed 600GB SAS hard drives in a RAID 10 configuration. Our most affordably priced virtual server package comes with lots of free bonuses, including full root access and a selection of OSs. Offering a fantastic set of completely free bonuses and a selection of OS options, this VPS server package is an ideal choice for you. A perfect choice for building media-heavy websites such as news portals. absolute control over your website(s). and features of our servers speak for themselves. than 50% of all the web hosting servers connected to the World Wide Web. connectivity. A 24x7x365 technical support team is available as well. With Wight Hosting, you no longer have to wait for hours on end for a help desk staff member to answer – our customer support staff is here to respond to all your enquiries 24-7-365 and they will reply in less than 1 hour. With Wight Hosting you can easily start a web hosting company or a reseller web hosting firm, thanks to the free bonuses with each of our KVM-powered virtual private web server hosting packages – a billing software and a domain reseller account. No server configuration taxes, 99.9 percent network up-time guarantee and your virtual web hosting server will be fully operational in no more than 60 minutes after the order. which is really useful if you don’t have the desire or if you don’t have any server management experience to deal with such tasks. The SolusVM Panel is one of the most popular solutions for managing Virtual Servers and with us, you will receive it with every VPS you purchase. The SolusVM Admin Panel is the location from where you can see what processes are running on your VPS right now, stop or start them, reboot the server and even install additional software. With a semi-dedicated server, you are sharing the physical server with just a few semi-dedicated server web hosting account owners, instead of 100’s of customers like with a regular shared web hosting server. This means that you get more system resources for your web sites like web storage space for hosting your web files, bandwidth for handling your web site guests and processing power for running your elaborate applications. So, how do you get your semi-dedicated web server? You are under the impression that it involves lots of technical work and ability to render the semi-dedicated hosting web server fully operational? Well, actually no! With us, getting a semi-dedicated server is precisely like getting a standard shared web hosting account. You merely select your semi-dedicated server, choosing between Wight Hosting’s two semi-dedicated servers. Each semi-dedicated server comes with Wight Hosting’s intuitive web hosting Control Panel interface, which will allow you to manage your online presence with simple point-and-click maneuvers. Both semi-dedicated servers hosting accounts from Wight Hosting include unmetered disk drive storage space and monthly traffic allocations and much larger CPU usage allotments than those included with the standard shared hosting server packages. What’s more, you will get a large number of database queries, so you could run more complex and resource-consuming apps. Free and paid shared plans are one of the most widespread hosting solutions on the market. They are splendid for small-sized websites that do not demand loads of resources and do not get that many visitors. But for resource-demanding sites with many thousands of web site visitors, a more powerful platform is demanded. If you want a stable, no-holds-barred shared hosting solution that can tackle even 1 000 000’s of daily hits, a dedicated server is your most appropriate option. With the dedicated web server hosting solution, you lease an entire physical machine whose system resources will be utilised solely by your sites. Just as any personal computer, each dedicated server has one or more CPUs operating at a specific speed, a particular amount of RAM memory, one or more hard disk drives, and so on. A dedicated web hosting server is indeed a computer with a hardware configuration designed to cope with heavy load and given software activated on it, such as web server software, PHP and MySQL software platforms, etc., which allows the websites accommodated on it to be reachable online. 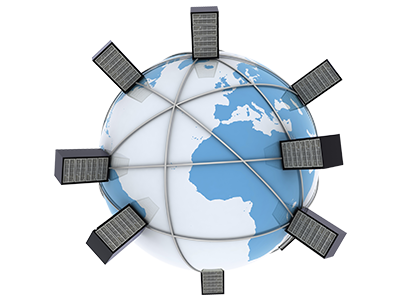 A dedicated server can be administered either by the host, or by the customer, based on the concrete dedicated server plan. In either case, the party handling the server has access to a software platform to reboot it at any given moment. Administration is done through a hosting Control Panel tool that permits you to keep an eye on the tasks running on the hosting server. There are various server Operating Systems like Windows, FreeBSD, different Linux distributions, and so on. 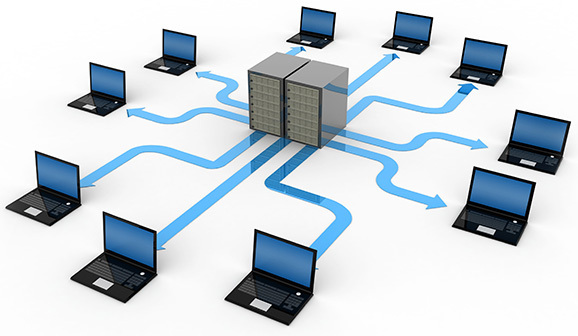 Specific web hosting vendors provide dedicated servers using one specific OS, whereas others offer clients an option. MSSQL databases and .NET sites request a Windows web server, for example, and will not perform on a different OS, while PHP and HTML based web sites using MySQL databases will work on any OS. Prior to renting a dedicated server, examine what the provider offers and what the necessities of your site are. By default, each dedicated server includes all the software platforms needed to manage a website – a web server, database software (MySQL, MSSQL, PostgreSQL, etc. ), PHP software, an FTP server and so on, so as soon as you get the web server, you can upload your web files and take the site online. Most hosts provide full root access, i.e. you can activate any software apps on the dedicated server and update any settings. Given script-driven software platforms require server-side libraries that should be pre-activated in order for them to function. A lot of e-commerce software scripts, for instance, include such a requirement, and being granted full server root access to the dedicated server is crucial for managing an online shop. Other web hosting corporations do not provide complete root access, but help the client install the required software apps – this is the so-called managed hosting service, as differentiated from the unmanaged hosting solution, which includes full server root access. The textual, visual and aural content on the dedicated server can be managed either via a Secure Shell (SSH) console or through a hosting CP tool like cPanel, DirectAdmin, Hepsia, and so on. There are 10’s of CP graphical user interfaces out there, and normally providers provide a few of them, and with full root-level access at hand, the client can activate any of them. 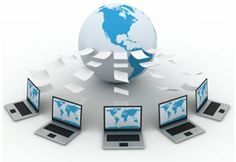 All web site files, databases, mail aliases, access logs and script installations are handled effortlessly through a graphical user interface in a web browser, so no advanced knowledge is required. Given web hosting Control Panels also have a reseller back office panel, so if you choose a dedicated server, you can not just host your web site files, but also offer shared hosting packages to different users to earn cash. We, at Wight Hosting, offer cost-free invoicing software and a domain reseller account with each dedicated server package of ours, which permits you to begin your own personal hosting firm and generate profit very fast because the web hosting business niche is constantly flowering. Inside the web hosting scene there are some basic guidelines. Read our Terms of Service for you to read additional information on your liabilities as being a client and our responsibilities being the service provider.